￼Jesus’ kind of dinner party was the kind of party you would find maybe on the side of a grassy hill, with rich and poor all sharing bread and fish with enough for everyone. In our gospel from this past Sunday, Luke 14:1,7-14, Jesus gives us some instruction on etiquette and manners at his kind of dinner party. When I picture Jesus speaking in this passage, I can not help but imagine Jesus looking little like a Martha Stewart figure. He tells us where a person should sit and whom you should invite. It is sort of a mini course on eating in the Kingdom. In our reading, Jesus instructs us as both guests and hosts. He reminds us as guests to be humble when we come to the table and as hosts to invite those who cannot afford to repay you. Jesus is teaches us to be both good guests and good hosts in the Kingdom. First, lets reflect on being guests. 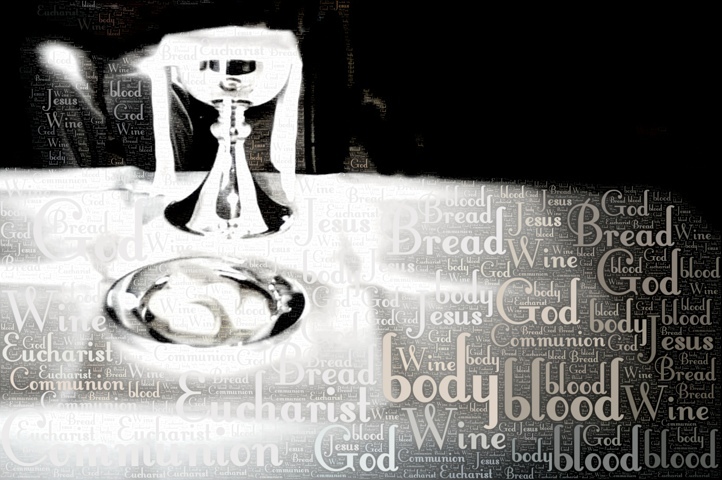 We are guests and Jesus sets the Eucharistic table before us. At the Last Supper he said to his followers, to do it in memory of him and so from generation to generation we have gathered at his table. We, as guests, are called to come forward humbly, understanding that we can never repay the generosity of what is offered when we eat the bread and drink the cup. In our passage from Luke’s gospel, Jesus first addresses the guests at the dinner and encourages them to be humble, not to think themselves better than anyone else at the dinner, and to show that by being humble and taking the seat furthest from the head table. Jesus says in verse 11, “For all who exalt themselves will be humbled, and those who humble themselves will be exalted.” I guess that is often why Anglicans so often sit at the back of the church, we understand the need to be humble as guests at the Eucharist. But, of course it is not just about where we sit, it is also about what we think in our minds and feel in our hearts. We should not just act humble, but work towards being humble. We come to the Eucharist not because we are worthy, but because Christ invites us. As humble guests at the table of the Lord, we are spiritually nourished and filled. In the second section of our reading, Jesus address the host of the dinner. So, although we are indeed guests at the table, as members of the church and as followers of Christ, we too are also hosts. We are the ones who pass along the invitation to the Eucharistic feast. We are the ones who know about the gift of Jesus, the Eucharist, and the standing invitation for all to come and eat. We worship in this place, your gifts support it and its’ ministry, and in this place the Eucharist is celebrated. So, in that way, we are hosts. We also then have the responsibility of being hosts, good hosts, as Jesus would have us be. As good hosts, we are to share our gift of Christ with everyone, without expecting repayment for the hospitality offered in it. As I said earlier, We, as guests, are called to come forward humbly, understanding that we can never repay the generosity of what is offered when we eat the bread and drink the cup. As hosts then, we are to make sure that at the Lord’s table everyone is invited and welcomed. At the table every Sunday, we will celebrate the Eucharist and although most of our services are loaded with enough protocol, ritual, ceremony, and tradition to make a “Martha Stewart” happy, it is the simple manners of Jesus that are all we really need to know. More important than the number of times we cross ourselves. More important then if we stand or knee at the communion rail. More important than if we know all the responses off by heart. More important than if we are wearing the right sort of clothes. The most important thing is to know is the promise of the gospel, that God sent God’s only son to die for us on the cross and be resurrected, so that we might believe and have new life. Jesus wants us as guests to be humble when we come to the table to receive our gift of remembrance of his sacrifice. As hosts to be sure that we let everyone know that they too are invited to share in it.